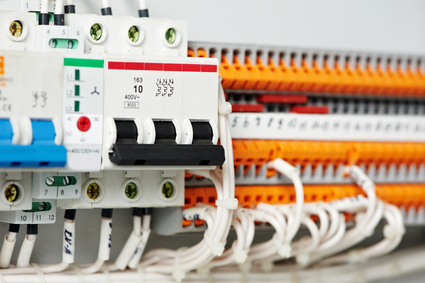 Our license allows us to complete most electrical projects including general electrical installations in residential, commercial, and industrial applications, and low voltage systems such as phone, data, and TV cabling. Our customer base includes churches, schools, radio & TV stations, major grocery stores, chain stores, auto dealerships, light industrial, restoration and general contractors, and home owners. Some of our completed new construction projects (“from the ground up”) include churches, schools, commercial buildings, commercial tenant improvements, new homes and remodels. All of our journeymen electricians are state certified dispatched in service trucks supplied by A C Electric Corp. Our company is fully insured and bonded, woman owned and government certified. A C Electric Corp. was established in 1990 and is owned by Kim and Doug Stampfli.